I have been on the hunt for a lightweight flowy dress for months. Those types of dresses aren’t too hard to find, but I HAVE to have pockets in my dresses. After all the looking around and not finding the perfect dress, I decided to make myself one. I was thrilled to find the Marigold Dress pattern and just a week earlier found the perfect fabric, too. After having made 2 other dresses for myself and being disappointed in the end result, I was a bit apprehensive to try again. I followed the Blank Slate pattern word for word and had no problems. I LOVE this dress. It’s so comfortable and easy it is to accessorize. The fabric is a linen buffalo check that I found at Hobby Lobby. Using linen can be a bit tricky with fraying edges and slipping fabric, but I have found if I use plenty of pins and a serger on the raw edges, then I have no problem. The linen lays so pretty in the gatherings at the waist and shoulders and it’s so comfortable. 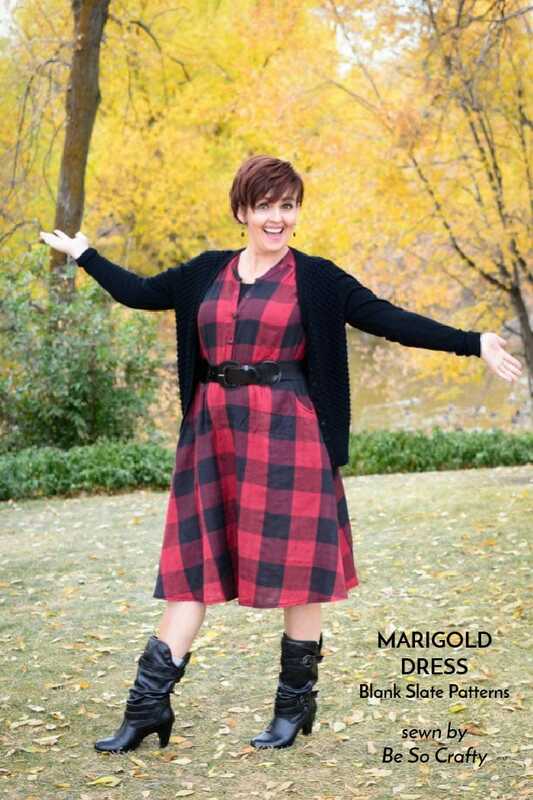 The Marigold Dress pattern has so many options. You can choose to make the bodice with longer sleeves, or eliminate the skirt and make a peplum blouse, or eliminate the bodice and just make the skirt. 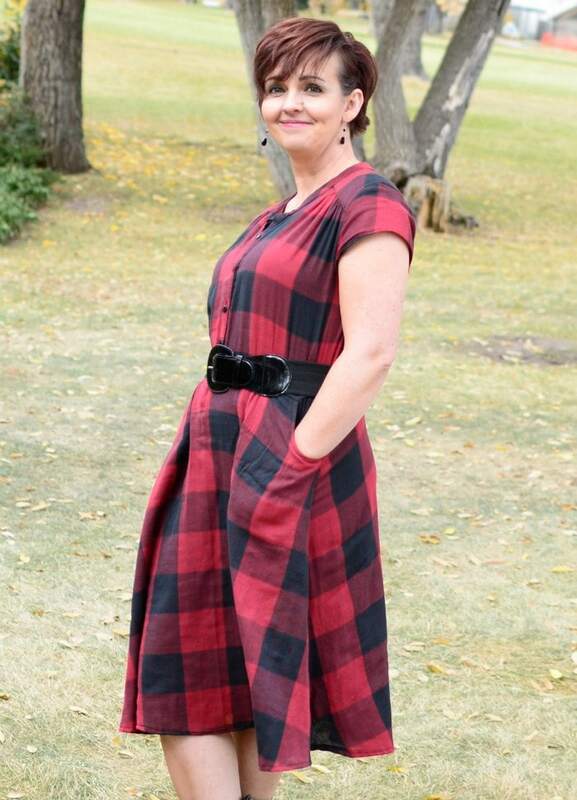 I chose the cap sleeve dress and used size medium with the XL size for length of the skirt. My favorite way to wear this dress is with a cardigan, big belt, and boots. I have also adorned it with a scarf and heels. 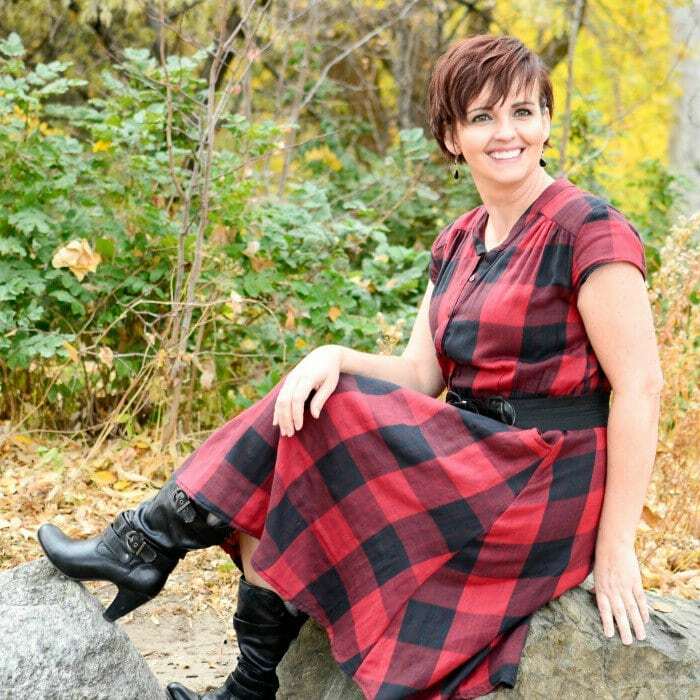 Even if you are a novice sewist, this Marigold Dress is wonderful to put together. From printing and assembling the pattern to completion, this whole project took about 3 days.